Why buy factory mass made when you can buy handmade, one of a kind, personalized gifts for your love ones. Become a member and shop now! If you want to showcase your works to the world, join us and sell your creations on this online marketplace. Sign up is free! 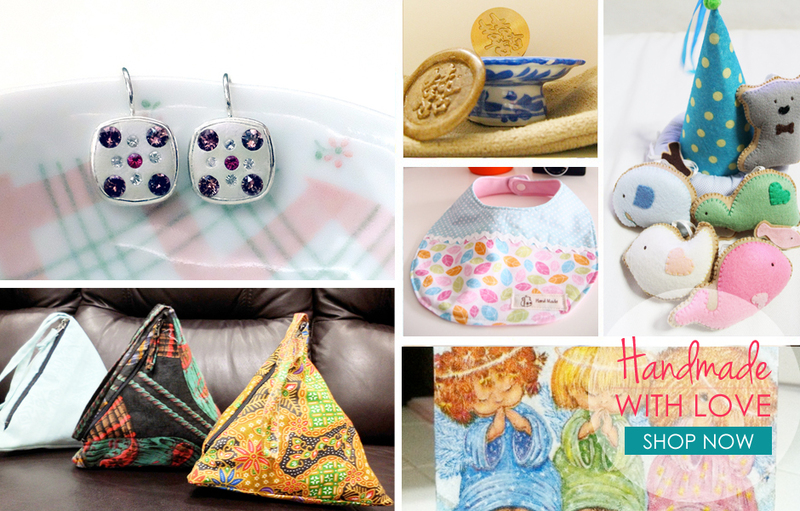 By buying handmade, not only are you supporting the creative folks, you'll help to reduce wastage, improve the economy and bring forth new creative talents. Besides running this online portal, we believe in making a difference. We've collaborated with non profit orgnizations to help their beneficaries. Read more.